Thonburi Healthcare Group Plc. today introduced “Jin Wellbeing County”, Thailand’s first comprehensive residential complex with superior healthcare services and lifestyle facilities for retirees and their families. 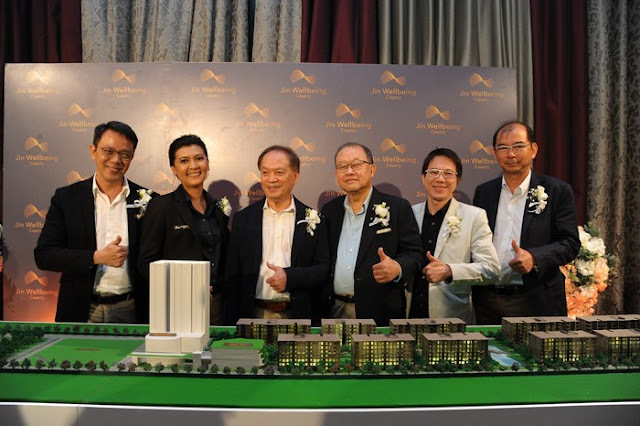 The project will not only serve the country’s ageing society, but also opens up a new opportunity for people looking for investment in high-potential markets. 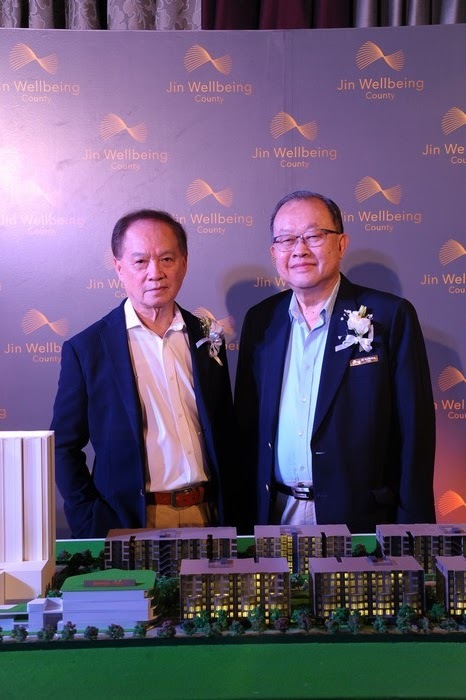 The project was developed under the “New Residential Concept in Retirement” which a full range of facilities and services are designed to meet specific needs of senior people who are passionate about living a dynamic life. 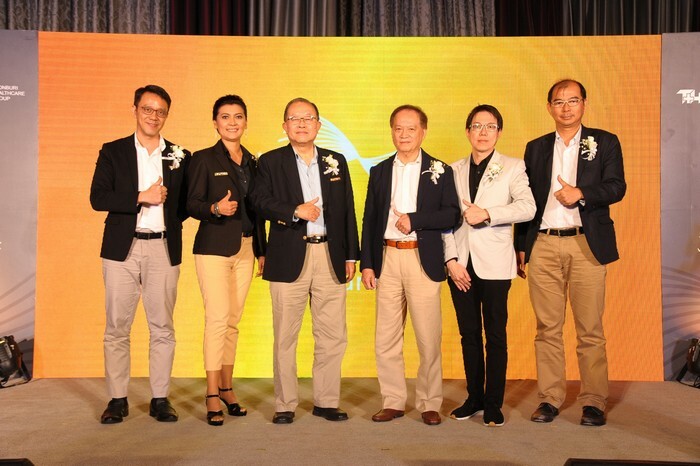 Dr Boon Vanasin, Chairman of Thonburi Healthcare Group and the project founder, said Jin Wellbeing County was developed with over 4-billion-baht investment in the first phase. The new project will enable the company to capture opportunities provided by the growing senior people market, a new market with high potential. “In the next five seven years, the total number of senior people in Thailand will increase from 11.23 million to 13.6 million*. Coupled with the current health trend which will lead to longer lifespans, the senior people market will become an emerging segment with high potential. 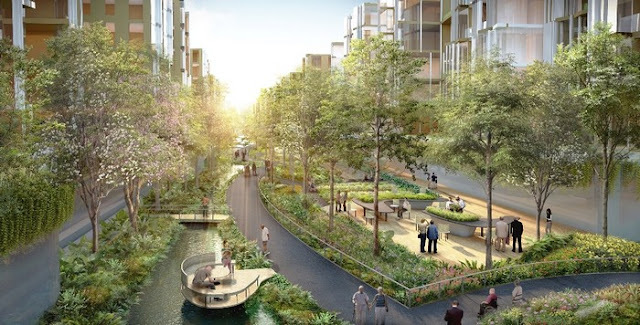 Following this trend is the rising demand for residential projects that allow older people to maintain quality of life and freedom of living even when they become older,” said Dr Boon. 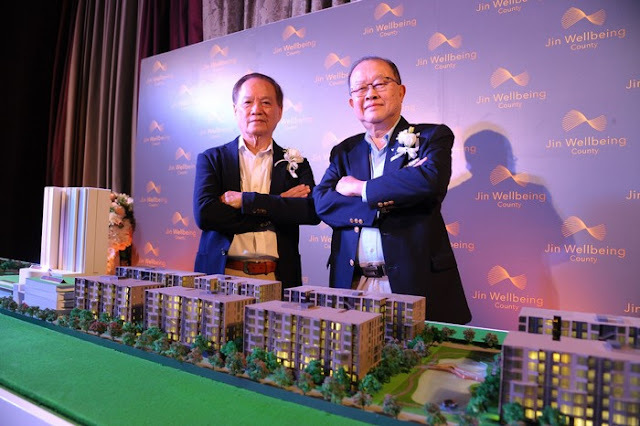 John Lee, Chairman of Premiere Home Health Care Co., Ltd. and CEO of Jin Wellbeing County, said the project was designed and constructed with the “New Residential Concept in Retirement” concept in mind. 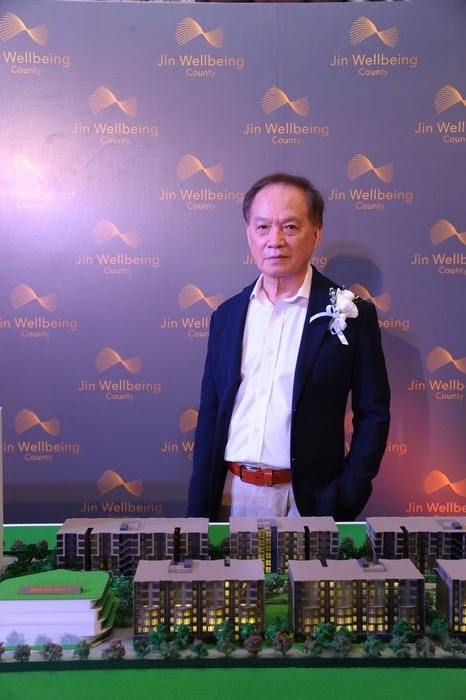 “This project combines the best of everything — the best caring society, the best quality of life, the best of health care for the elderly, the best safety standards for all residents, the best of universal design customised fully for senior people, the best of environment and the best of investment opportunity,” he said. 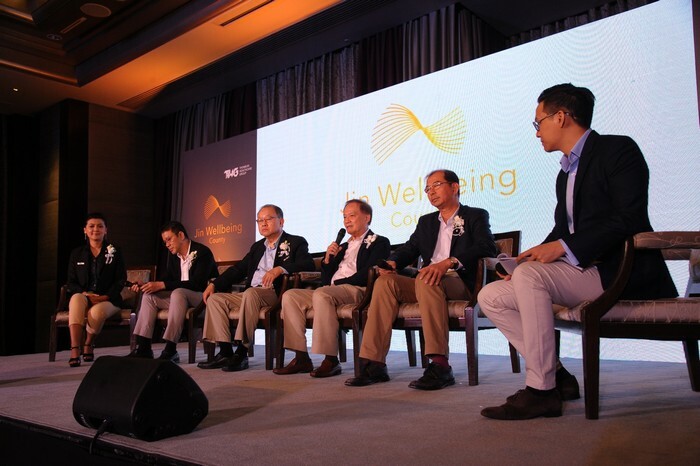 “All these are combined to empower the elderly with dynamic living. Our project will allow them to live independently and enjoy their life to the fullest. We strongly believe that the elderly with attitude will be the key driver towards a quality ageing society in the future. 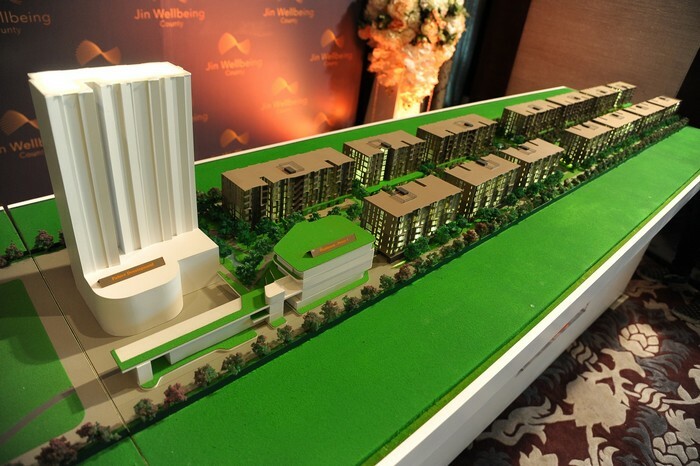 Jin Wellbeing County is located on a 140-rai plot on Phahonyothin Road in the Rangsit area of Khlong Luang district in Pathum Thani. 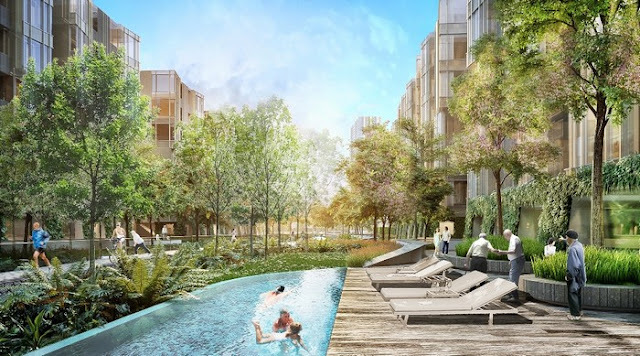 The first phase includes three zones: Active Living, Aged Care Center and Clubhouse & Wellness Center. Active Living houses 13 seven storey low-rise residential buildings comprising 1,300 units sized 43 square metres and 63 square metres. For the first two clusters of 500 units, prices start from 3.6 million baht. As part of this phase, a pet-friendly building is provided for pet lovers. Aged Care Center is a stand-alone building providing special daycare and nursing home services for senior people who need extra care from professionals. A rehabilitation center and clinic are also located in this area. Clubhouse & Wellness Center comprises a spa, fitness area, swimming pool and other health and rehabilitation services with a focus on prevention rather than cure. The services are provided by an experienced medical team. Various lifestyle activities are planned to entertain both senior people and their younger family members. In the later phases, a hospital and community mall will be constructed. 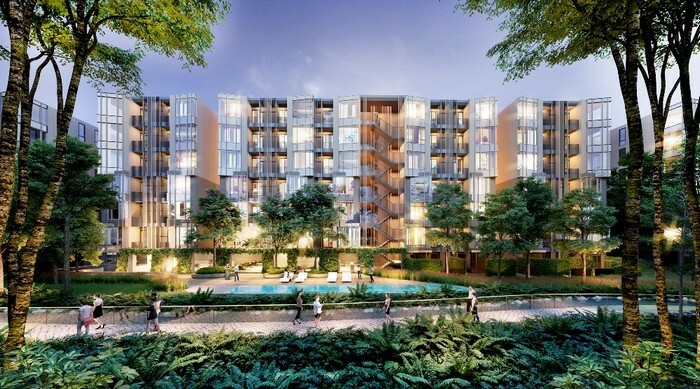 To ensure that the project best addresses senior people’s needs, THG hired ThomsonAdsett, the world-famous international architecture and design studio that specialises in universal design to look at the overall project and concept. OpenBox Architects handles building design based on passive ecology concept, focusing on energy saving and maximize the best of natural light and ventilation. 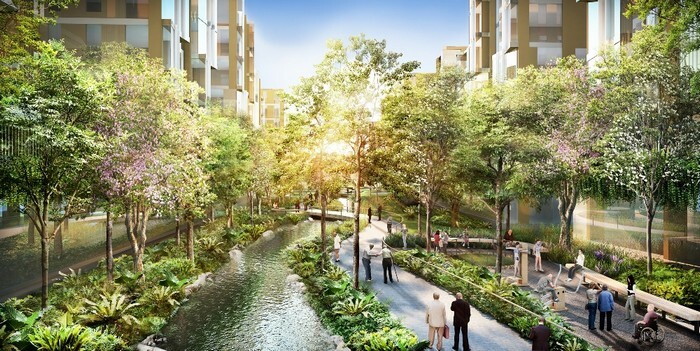 The project landscape, designed based on “engage and inspire” concept by Shma, encourages residents to enjoy the best of nature, tree shades and running stream and to be inspired to enjoy active living. Water barriers were design to keep the project safe from flood by using 2011 flood information as the basis for all the calculations. Vamed, a world-class healthcare service consultant from Austria, was also hired to plan healthcare services in the project. 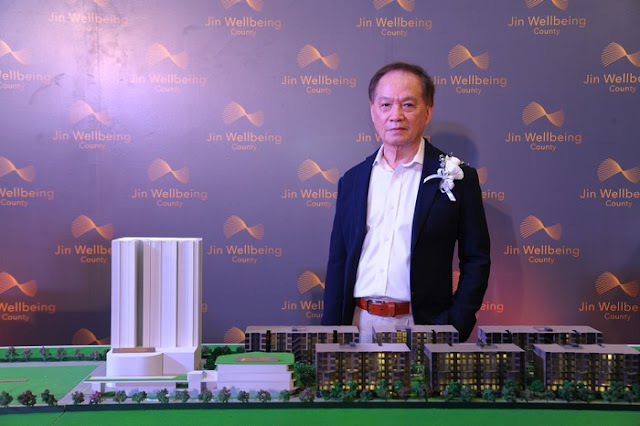 “For investors looking for a new investment opportunity, Jin Wellbeing County is an interesting choice. The senior people market segment will continue to grow. 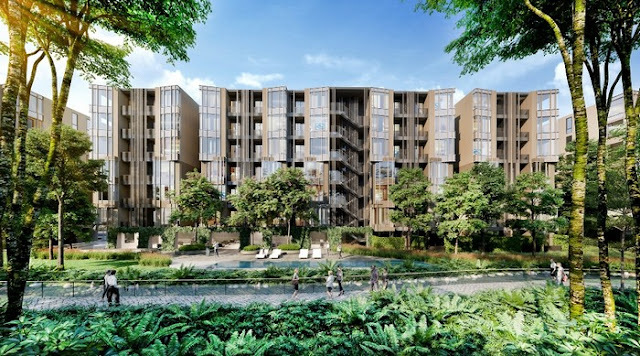 The project’s location is very attractive as it is close to Don Mueang International Airport and has access to the skytrain’s Dark Red Line. The area has several leading universities, a large wholesale market, many government organizations, a golf course and many more facilities. All these factors have made this project an interesting investment choice with high potential to create greater investment return,” said Mr Lee.